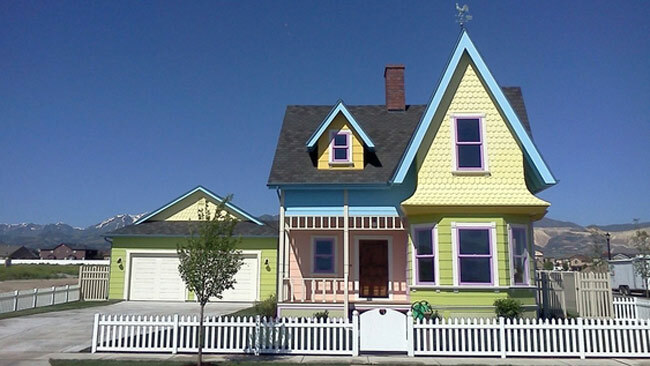 A real life house in America which looks similar to the Pixar film ‘Up’ house… is up for sale. The home is based on the Disney animated film which is a cute pastel-coloured cottage with white picket fence and a rear garage. 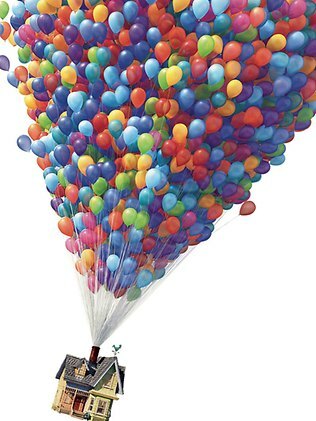 In the 2009 CGI movie, a house is carried away by a giant bunch of balloons with a grumpy old man and a little scout boy inside. It was nominated for a Best Picture Academy Award and won Best Animated Feature and Best Original Score- so if you want to live in a house from cinema history and fancy moving overseas to get it, then use Robinson’s international removals services. Situated in Salt Lake City, Disney gave permission for Utah builders Bangerter Homes to build the house and every detail from the hit film was replicated. The famously recognised home is on the market for 9,000 and includes four bedrooms and three and a half bathrooms. And better still- a portion of the property sale will be donated to the charity Make-A-Wish Foundation. So raise the kids up in a house that reflects fun and animation and move all your belongings across the pond with the experts at Robinsons International.